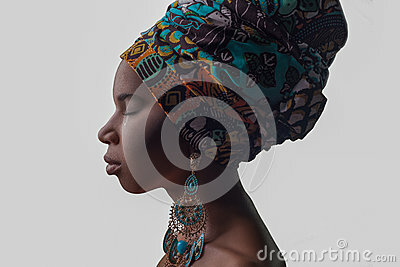 Young beautiful African woman in traditional style with scarf, earrings crying, isolated on gray background. Young beautiful African woman in traditional style with scarf, earrings crying, isolated on gray background. racism, depression or loneliness concept.